 Founded in 1994 by on the outskirts of Kildare town by Geraldine O’Hanlon and a group of very dedicated volunteers, the Kildare Animal Foundation is a non-profit organisation dedicated to the welfare of cats, dogs and small animals. Located in an ideal setting, the Foundation today cares for almost 100 animals, providing sanctuary to injured, sick and abused animals. Our shelter is open daily from 2 to 4pm and we offer an adoption service for our cats and dogs that are ready for rehoming. To provide protection and health care for sick,injured,abused or neglected animals. To prevent cruelty and to provide a rescue service. To promote spaying and neutering.  To provide education on animal welfare. Kildare for a few hours to help out. I had heard the Animal Shelter at Kildare had been left vacant, leaving animals with no one to care for them. I arrived at 8am and have never looked back. When I looked around I cried with despair. Everywhere I looked there were animals; dogs, cats, donkeys and goats, all waiting, all hopeful of someone spending even a minute with them. And so it began, they were fed, cleaned and hugged. After months of working 18 hours a day, order was born out of chaos. Our commitment to neutering is unshakeable, better beautiful creatures not be born at all than to suffer neglect and hunger.